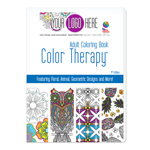 Color Therapy® 10 pack Colored Pencils - Adult Coloring / Full Color Decal Full Color Decal Printing � perfect for 1C up to 4C process logo printing. 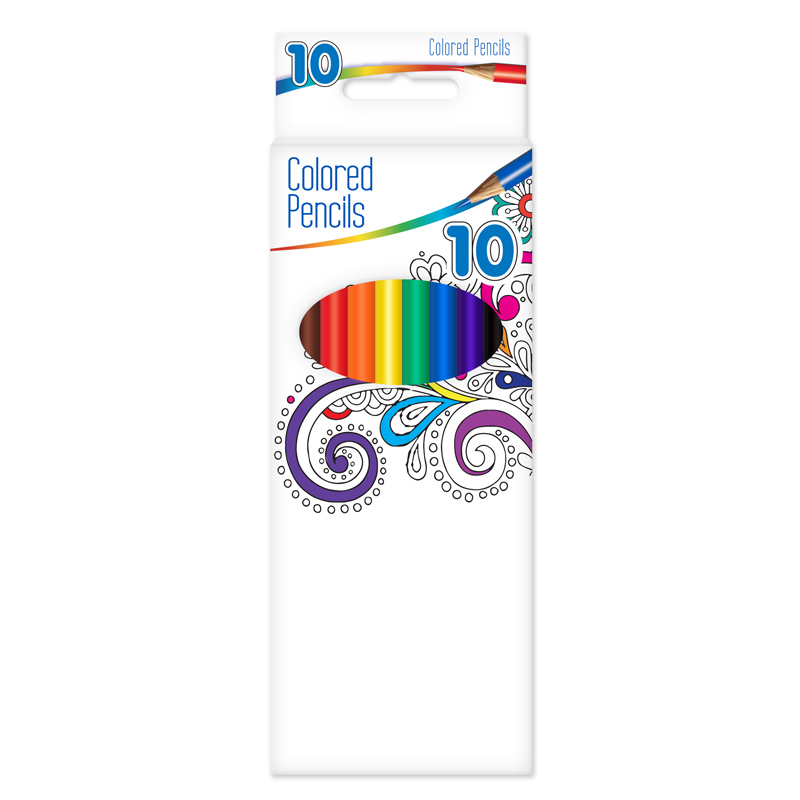 Pre-sharpened, 7" full length colored pencils in 10 assorted colors with premium leads. 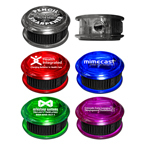 Pricing includes a Full Color Decal in one location. 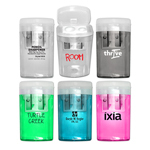 Pricing includes 4C / Full Color Decal on 1 side. 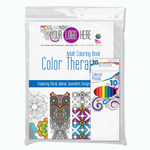 Standard Production Time: 7-10 working days from final art approval for catalog quantities. Do not include holiday closings in production time. 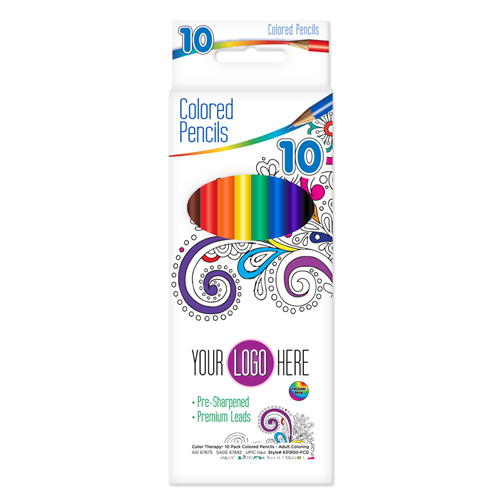 Packaging: Case Pack, 60 per carton @ 9 Lbs.